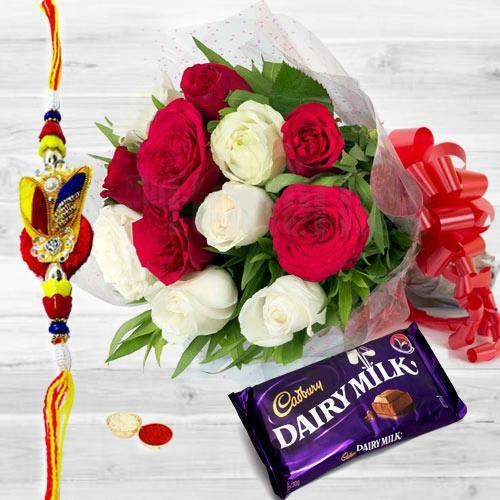 Bring smiles on the face of your special one with this Magnificent Rose Ecstasy packed with 10 Red and White Roses with fillers and tied neatly One Dairy Milk (13 gms.) with One pc. Rakhi.